Covert video now goes completely hands fee! You look like you are minding your own business talking on your bluetooth headset on your cell phone but appearances are not what they look like! You are covertly recording video as you walk around. Since your hands are free, you can look very busy with a pen and notebook as you walk around appearing to be writing notes as you talk on your phone. You can now obtain your covert video and no one will even know you where there and do it all hands free! This high end covert video studio on your ear is just the thing for your walk around covert video operations and no one will ever know the difference! This law enforcement grade unit covertly video records what you see when you see it. 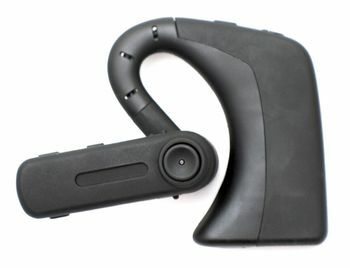 It also functions as a wireless bluetooth headset for your cell phone and has an audio recording mode so you can record incoming phone calls. If you are an investigative professional, don't leave home without one! • Bluetooth earphone: answer, hang up, volume adjust and loop. • AV out for reviewing on TV. • RTC function with time stamp, to ensure the validity of certification. • PC Camera function for video meeting. • Flash memory for protecting data, with standard 8G card. • Easily for operation with sound indicator of key pressing when Bluetooth is on.